A native of Archbald, Pennsylvania, Dr. Burke attended college locally at Penn State Worthington Scranton Campus before transferring to Penn State Main Campus. He continued his education at L.E.C.O.M. in Erie, Pennsylvania where he earned his medical degree. Dr. Burke completed his Orthopedic surgery residency at Henry Ford Horizon / Bi-County Community Hospital in Detroit, Michigan, where he served as Chief Surgical Resident for two years. In addition to his residency in Detroit, he had additional elective training in trauma at Vanderbilt University Medical Center in Nashville, Tennessee, and pediatrics at the University of Cincinnati in Ohio. Dr. Burke completed his Hand Surgery Fellowship at the UCONN (University of Connecticut Health Center or UCONN Health) under the tutelage of world-renowned hand surgeon, Dr. Kirk Watson. Additionally, Dr. Burke spent a month at the Louisville Hand Center under the tutelage of Dr. Harold Kleinert, another world-renowned hand surgeon. 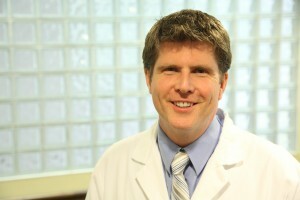 Dr. Burke has been in practice since 2007, dedicated exclusively to Orthopedic Hand Surgery. Locally, Dr. Burke has served patients in the Scranton/Wilkes-Barre area since 2009, when he returned to Northeast Pennsylvania. Most recently, he formed Hand Surgery Associates, a private practice that specializes in providing complete care for all conditions of the hand and wrist.